Well tailored and a nice fit. A bit baggy, good construction and finishing, terrific fabrics wool! 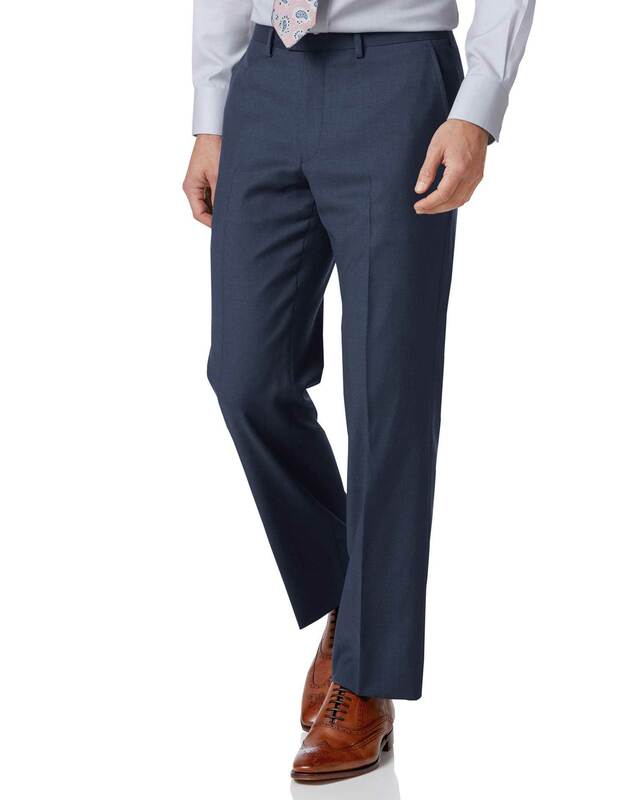 Response from Charles Tyrwhitt: While I am glad to hear that you are happy with your purchase overall, and we love to hear your positive feedback, perhaps if you are finding these trousers to be a bit baggy our Slim Fit would be more suited to you. Please do let us know should you wish to give this fit a try! Jacket fit first class,However lining two different colour not hugely appealing.Trouser cut and sizing questionable,therefore had to return to exchange for a larger sizing. good quality, a bit tight fit for 36".